For new builds and renovations, second-skin facades provide a wealth of benefits – both aesthetic and functional. 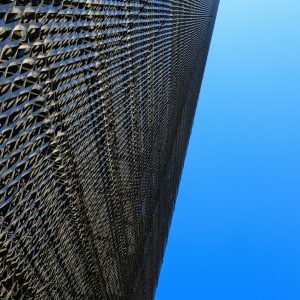 Traditional metal mesh or perforated metal facade systems are certainly attractive, but innovations in fabric architecture have created better solutions – using technologically advanced materials such as PTFE Coated Fiberglass and PVC Coated Polyester Fabrics. Tensile membrane facades aren’t just an economical alternative to metal mesh or perforated metal systems; they offer a wealth of benefits that are on-par and often surpass their metal counterparts. Depending on the options you’re comparing, tensile membrane facades can be anywhere from 50-75% less expensive than metal mesh or perforated metal facades. This includes considerations for the life cycle of fabric architecture, as the membrane will have a 20-30-year life expectancy, which is shorter than their metal counterparts. Tensile membrane facades are less expensive to install, and many options still carry the highest fire ratings and non-combustible certifications. Despite the trend towards thinner and lighter metal materials, tensile membrane facades are lighter weight, and they’re capable of spanning greater distances with less structural support than metal mesh facades. 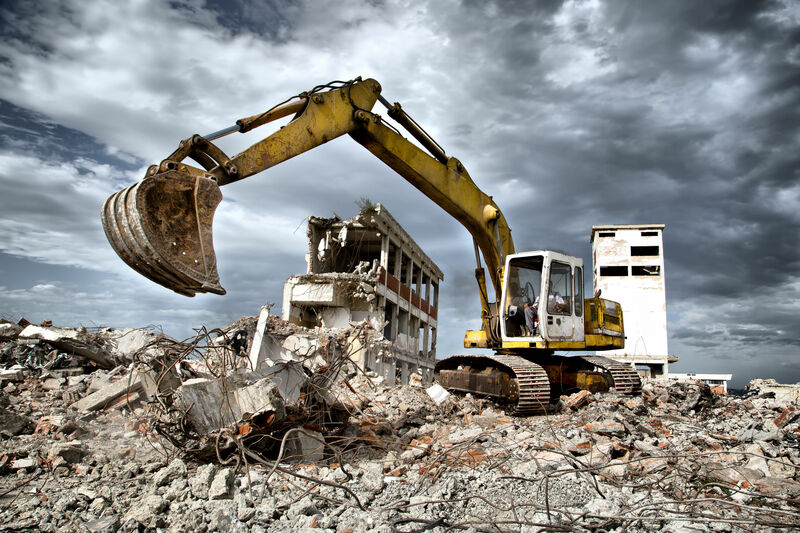 This is important for nearly all projects, but it’s especially essential when renovating historic or older buildings. Keep in mind that the lighter weight doesn’t translate into reduced strength. 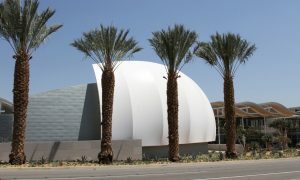 Tensile membrane facades are incredibly durable and engineered for the load requirements of each project. What could be more environmentally friendly than using less materials to achieve the same (if not better) results? 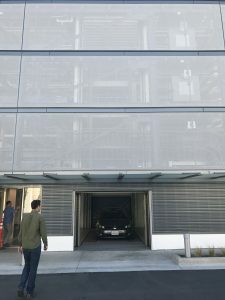 By replacing metal mesh or perforated metal with high-strength membranes, you reduce the volume of materials required and the amount of fuel necessary for transportation – while simultaneously improving the building’s energy performance. Additionally, the translucent membrane protects visual transparency (aka the view from inside). Similar to metal versions, tensile membrane facades provide dramatic energy savings by reducing the impact of solar heat gain, maximizing natural light, and battling against the urban heat island effect. This results in long-term ROI for property owners and supports the intensive process of becoming LEED certified. While advances in metal mesh or perforated metal facade systems have begun to offer more options, tensile membrane facades provide the ultimate flexibility when looking to merge functionality with artistic design. They allow architects and designers to reimagine a building’s facade and modernize outdated buildings, while staying within tighter budgets. For clients who are drawn to the metal facade appearance, fabrics made from silver metallic mesh can be chosen, which look like expensive metal mesh but at a fraction of the cost. Membranes come in a variety of colors, and many options support graphic printing for branding, messaging, or advertising. For more information on how to incorporate membrane facades into your next project, read our post: An Architect’s Guide to Tensile Membrane Building Facades | Improving a Building’s Performance.